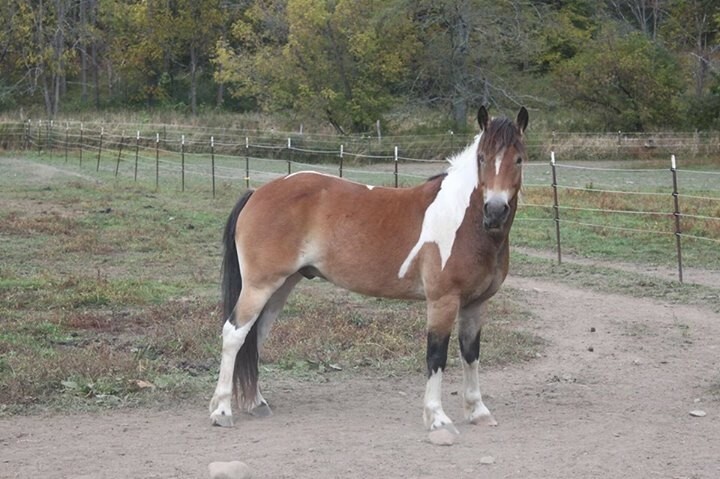 My name is Acahi, and I am a little Paint horse. A Paint horse is characterized by a certain percentage of white hair over pigmented skin combined with other colors. That’s why Diane calls me “a horse of a different color". I came from Pennsylvania. I was considered to be of no use for anything except to be a Kill Buyer horse. My owner destined me to go to slaughter because I was not trained, even though it was my owner’s responsibility to train me. He considered me of no use and worthless. His way of earning money from me was to send me out to a Kill Buyer to be purchased. A Kill Buyer is a person or group of people that purchase and slaughter horses for meat. Horses destined for slaughter are transported by inadequate trailers not made for horses. They suffer with no food, water or rest. Many fall down and are trampled by other horses even before they reach their destination for slaughter. During the travel, many suffer broken legs, severe cuts and other major injuries in this transportation process. Upon arrival at the slaughter house, horses experience great fear as they are bashed in the head with a captive bolt by untrained people causing the horse to be still yet remaining fully conscious. They shake and scream while they are pulled up by their back leg and hung upside down on a conveyer while they are still fully alive. While being hung upside down on a conveyer, their throats are cut and they are thrown into a shoot to bleed to death. Many horses do not die quickly but are trapped in the shoot, suffering a long painful death as they slowly bleed to death. This was my fate. I was shaking and filled with fear, as I stood in the auction filled with Kill Buyers purchasing us to slaughter our bodies for meat. All of a sudden, I was pulled from the group. I was shaking and so frightened. It was my time to be taken to have my throat cut and to suffer. I hoped that I would die quickly and not suffer days of torture. My purchaser was a woman. She put me in a trailer all by myself. She spoke to me softly and gently stroked my head. As she looked at me, I saw that she was crying. I calmed down and my heart began to trust, even though my mind told me that I was headed for slaughter. The gentle touches of this woman seemed to make me believe my journey would go smoothly. That evening, we arrived at our destination. As we approached the entrance, I saw a sign. It did not say "Slaughter House". The sign read, “Rivers Edge Horse Rescue & Sanctuary”. The trailer door opened, and there stood this gentle woman who led me out with a loving hand. Again, she spoke gently to me and encouraged me not to be afraid. We entered a barn where she put me in a stall, gave me water and fed me delicious hay. There was a nice bedding of shreds prepared for me to keep warm and rest. She told me her name was "Diane", and that she had purchased me to prevent me from being tortured and tormented by a very slow painful death. She had rescued me. She told me that I belong to her now, and that she will never hurt me and will take care of me and keep me safe for the rest of my life. I am now a permanent resident at Rivers Edge Horse Rescue & Sanctuary. Instead of death – they gave me life. They, also, gave me a family of equine companions and other needy animals. 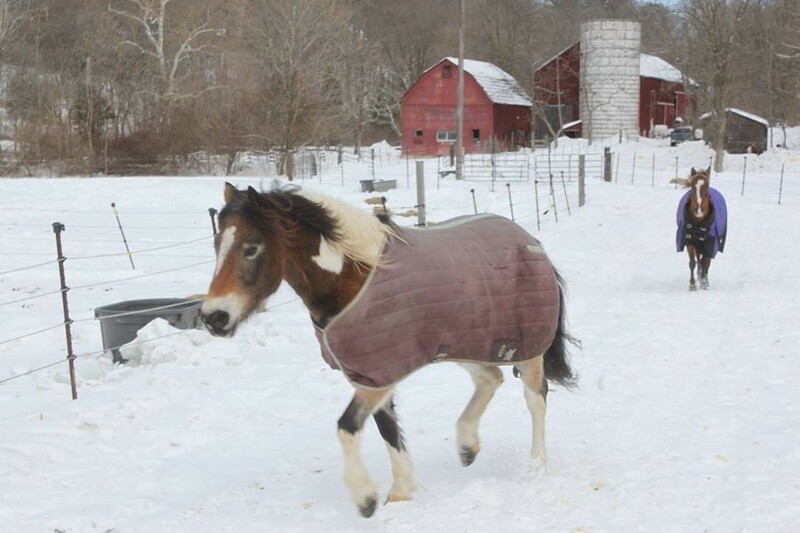 I have been rescued and given a life of freedom and safety in my home at Rivers Edge Horse Rescue and Sanctuary.